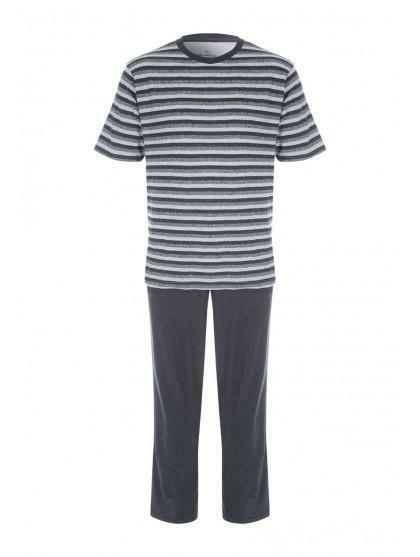 Update your nightwear collection with this pyjama set. 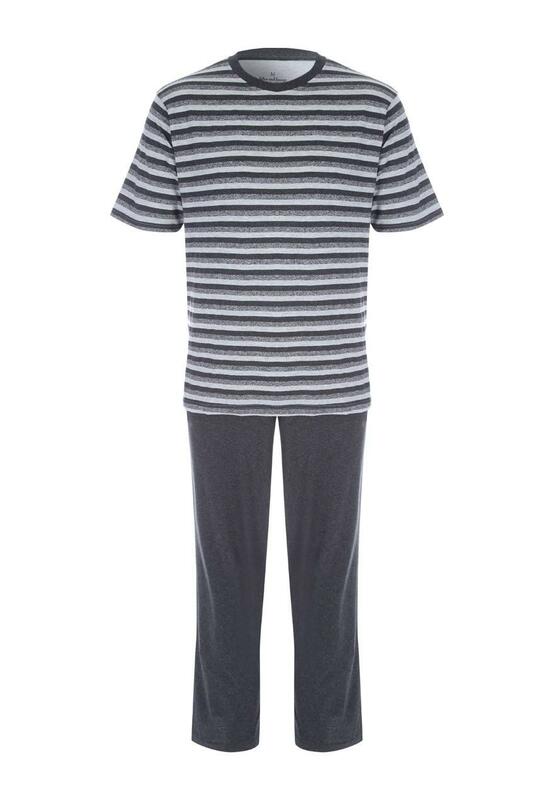 Including a grey striped short sleeve top with a pair of comfy bottoms, they'll ensure you're cosy this season! NB: all measurements are body measurement not garment measurement. Neck Neck to be measured at the base of the neck where the collar would normally sit. Chest Chest to be measured at the fullest part with the tape close up under the arm. Waist Waist to be measured around the natural waistline. Hip Hip to be measured around the hip, 20cm or 8" below the natural waistline. Leg Leg length to be measured from the crotch down to where your trouser is normally worn.